Verification of outbound replicaton failed. Error reading the NTDS settings on replication source domain controller 2k3dc.secid.local. 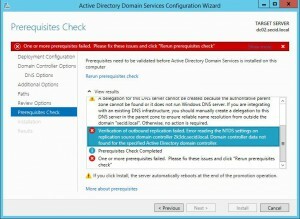 Domain Controller data not found for the specified Active Directory domain controller. And I also got the info that the 2k3DC only was a member of the Domain Users group. 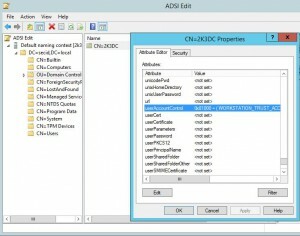 That’s not easy to change in the ADUC tool, Member Of Tab in the computer object. Something weird was going on. The account 2K3DC is not a DC account. It cannot replicate. 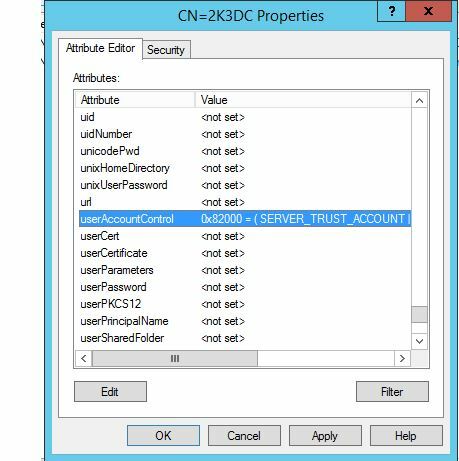 A common problem when a computer account is prestaged would be that the DC has this value: 0x82020 = (UF_PASSWD_NOTREQD|UF_SERVER_TRUST_ACCOUNT|UF_TRUSTED_FOR_DELEGATION). 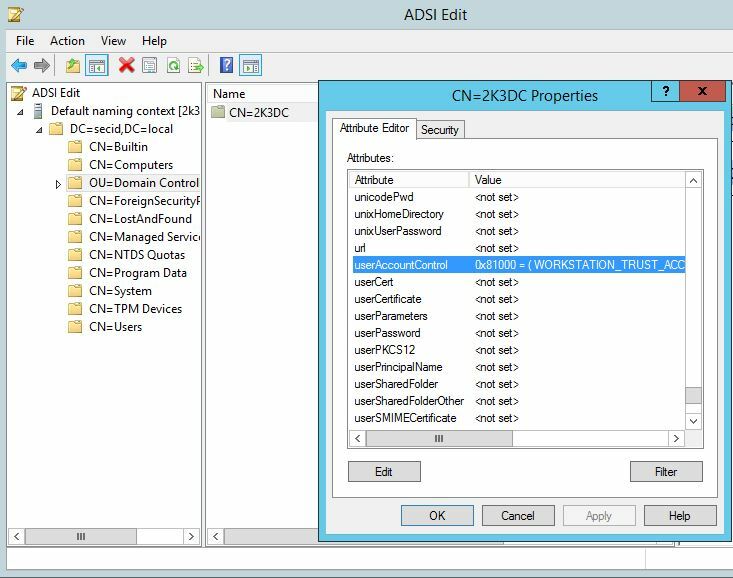 And in this case, the computer object is now a member of the Domain Controllers group, no errors in dcdiag and the dcpromo succeeded. You are rock bro, Mine is changed to different value and as per your suggestion the user controll value i changed to 532480 which fixed the issue. Great, this worked! Thank you very much.